part 2: must read Of Aging & Collagen- Can not washing your face cause premature aging? This is the second part of my previous post, Can not washing your face cause premature aging? Read the full post here. So What is aging and premature aging? These two are the evil queen and it's evil, even colder, sister of skincare kingdom. Moisturizers and serums are soldiers created to fight these two evil queens, and with diligence, these baddie will stay away. For as long as they can, I mean. Mwahaha! Seriously, aging is a natural process in our body. It starts at the age of 25, but the fine lines and skin changes are barely seen or noticeable. It's when we're closer to the age of 30, and if you are 30, thats when we REALLY notice things. It's like, "Where did is line on my forehead come from", or "The corner of my eyes have wrinkles, HNGGG". Yeah, that kind. 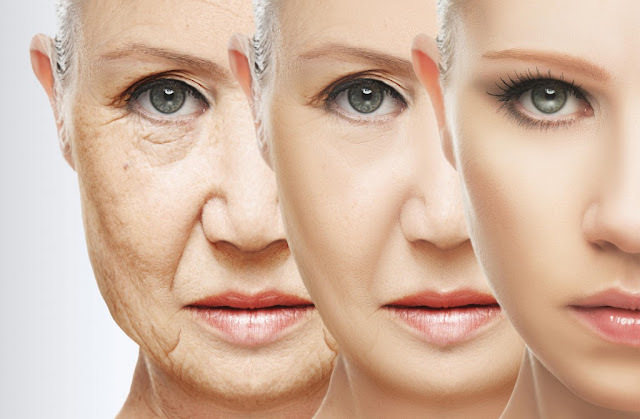 Our skin starts to "degrade" as we age. It starts to get thinner, less elastic because it produces less collagen, every year; and every decade that passes by, it becomes more visible. Time, seriously no escaping it. Although, premature aging doesn't necessarily have to be "natural". It's more like not looking your age. It's when someone tries to guess your age, and they give an answer that is 10 years older than your actual age. Ouch. And when I say natural, it's because of the external factors that adds to the aging process. Hi, everyone. In my previous post, I was talking about how not washing your face can cause premature aging. The dirt, grime, makeup and sunscreen that is left on your face acts as a barrier between your skin and the serums, and essences, you use. Your skin doesn't breathe, and your pores will most likely get clogged, which is a huge possibility for people with large pores, and have sebum control problems. Over time, an uncleaned face, or improperly cleansed face, can slow down, or "block" the regeneration of collagen. This reduction in collagen is what makes skin age beyond a person's actual age. Not to mention, it will become a breeding ground for bacteria, which will, in time, make your skin susceptible to infections, skin irritations, or further exacerbate any skin irritations you may have, and acne. Do we want any of that? Nah, I don't think so. And is collagen that important? Collagen is the most abundant protein in the human body, and it is naturally found in the middle layer of our skin, the dermis. Collagen can be broken down, and can be medically used, such as skin fillers (nope, not Botox), osteoarthritis treatment, wound dressing, skin revitalizing, and wound healing (source: Medicalnewstoday.com). Think of gelatin when you think of collagen. Gelatin is collagen when its been broken down. Okay, so, imagine that we have a bowl of gelatine, which in this analogy is the collagen. Then let's imagine a piece of plastic wrapping as the barrier or layer of dead skin cells, sunscreen, and makeup. So, how can we add more gelatin into the bowl when it's covered. This is like our skin, when it's “blocked”, the flow of collagen is either reduced or stopped. Okay, I could have done that a lot better. I tried to make it as comprehensible as I could. So, there are many types of collagen, but we won't need to know all of that. What we need to know is that this protein provides strength and elasticity, when combined with elastin. When our skin cells die, they need to be replaced. Collagen required to replace these dead skin cells. As we age, the collagen in our skin naturally diminishes, hence the fine lines, wrinkles, and eventually, folds. Collagen, along with Hyaluronan and water, is what makes our skin plump and youthful looking. I love me some hyaluronan, also known as, hyaluronic acid (HA). It's one of my best friends. You should try to being friends with it. You and your skin will love HA as a friend. What causes collagen to degrade? You mean besides getting older? The lack or insufficient Vitamin C intake is one reason. Vitamin C helps with Collagen Regeneration, AND helps with our immune system to get stronger. I take Vitamin C everyday for both reasons. Lack of hydration, and skincare. By skincare, I also mean washing your face. AC stand for Acne Control, and Tony Moly's Acne Control is pretty good, as well as SU:M37's Cleansing stick, if you're looking for a none acne control face wash. So, all of these factors will further increase the chances of premature aging, especially too much sun exposure. It's been proven that being in the sun a lot, and with out sunscreen, causes more wrinkles to appear (source: MedicalNewToday.com). Also, smoking adds to premature aging, as well. So to summarize a bit: Yes, collagen is important. It's essential in, not just skincare, but just skin in general. Premature aging can happen when we don't take care of our skin, and our body. Link to part 3 of this post here. 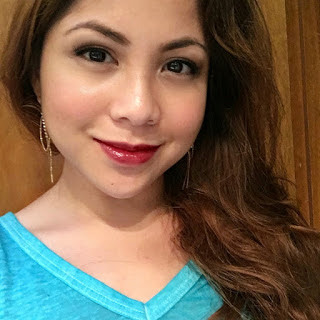 This Post talks about skin and how we need sebum on our face.